VINTAGE FASHION – A throwback to the early days of gaming, this men’s t-shirt is the perfect high-quality addition to your collection of clothes. SOFT HAND PRINT – This tee combines a vibrant design with soft hand printing that is softer to touch and fun to wear. DURABLE WEAR – Featuring a taped neck and shoulder seams, this t-shirt is built for durability, so you can rock it over and over again. Legit since 1979, Activision is a video game publishing legend. 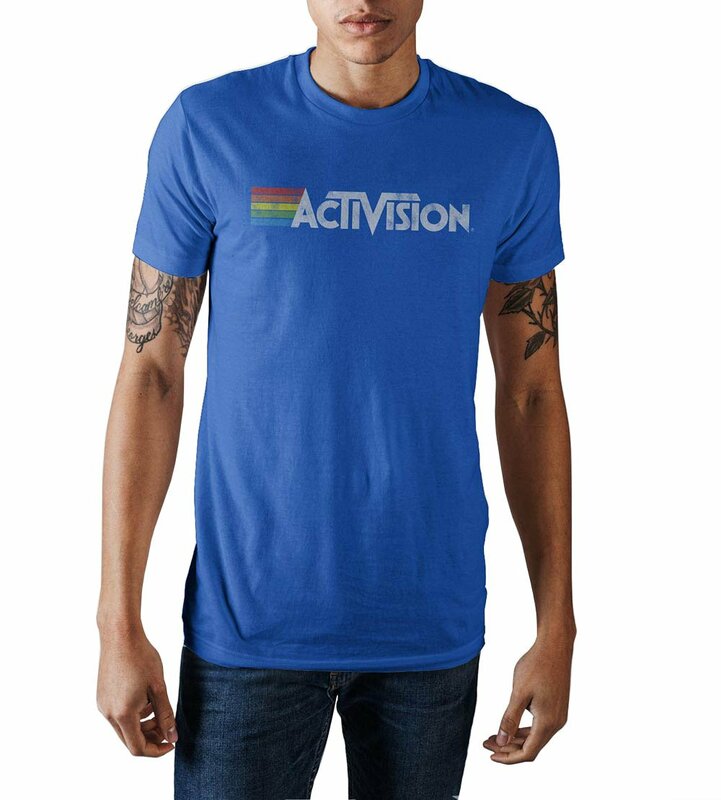 Celebrate decades of gaming fun with this vintage t-shirt featuring the iconic Activision graphic logo. Bright royal blue background with soft hand print, it is a should have tee for gaming fans. SUPER COTTON COMFORT – 100% pre-shrunk ringspun cotton guarantees this will probably be one among your softest regular wear t-shirts. 100% GAMER AUTHENTIC – Officially licensed gaming merchandise, keeping you legitimately in style.